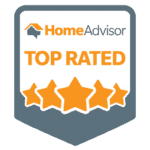 The best lawn care services for the Ames area! Enjoy your lawn and leave the lawn care to us. The best lawn care service for Ames. Programs available with a weed-free guarantee. With our Price-Match Promise, we can offer affordable lawn care packages for anyone. Spend your time enjoying your lawn, not working on your lawn. Relax after work and play in your plush lawn. The broadleaf flantain grows in lawns and fields, along roadsides, and in other areas that have been disturbed by humans. It also does thrives in compacted soils. The weed itself is low-growing with dark green, egg-shaped leaves. The leaves are generally smooth, with wavy margins and three or more clearly-defined, tough veins. Leaves are 3-7 inches long and 1-2 inches wide and are borne on long leaf stalks. Reducing soil compaction with aeration will make conditions less desirable for broadleaf plantain. Soil Aeration will also help surrounding grass to thrive and overcome the weed. 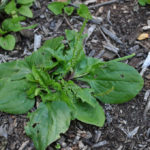 In addition, allowing the soil to dry out between waterings can help discourage broadleaf plantain. Broadleaf plantain needs light, open areas to establish itself. Maintaining a dense plant population that shades the soil will prevent its colonization. In addition, an effective weed control applications in Ames, Iowa will help to rid the lawn of this weed faster. Perhaps one of the most recognizable weeds that we find in Iowa, dandelions. They are quick to take over any lawn when left untreated. Dandelions are a broadleaf perennial that can grow in any soil and are most numerous in full sunlight. In the early spring, new sprouts will emerge from the taproot, which can be 2 to 3 feet deep in the soil. They grow yellow flowers that mature and turn into white puffballs. They contain seeds that spread with the wind to other lawns. Even though they disappear in the fall, the taproot survives deep in the soil. Then start the cycle again in the spring. 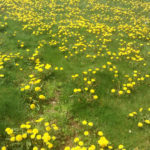 A thick lawn is the best method for preventing dandelions and other broadleaf weeds. A thick lawn is the best method for preventing dandelions and other broadleaf weeds. Mow your lawn at a high setting on your mower, and follow a regular fertilization and weed control program to achieve a lawn that is thick enough to keep weeds like dandelions from establishing in the first place. Another very recognizable weed in Ames and the surrounding areas is white clover. It is a herbaceous, perennial plant. It is low growing, with heads of whitish flowers, often with a tinge of pink or cream that may come on with the aging of the plant. The heads are generally 1/2″ wide, and are at the top of 3″ stalks. The flowers are often visited by bumblebees. 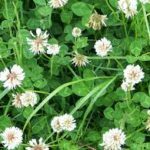 Getting rid of white clover starts with a healthy lawn. Clover will grow in areas of low nitrogen and where competition from other plants is minimal. Therefore, make sure that you you maintain a fertilization and weed control schedule for your Ames IA lawn is well fertilized to help desirable grass and plants to grow and make the soil less friendly to white clover. 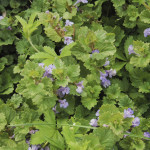 Creeping charlie is often referred to as ground ivy because of it’s appearance and growth patterns. The leaves are round and have scalloped edges and produce small purple flowers. It covers the ground like a mat and continues to spread across the surface through nodes in the leaves that grow roots when they come in contact with the soil. The nodes that grow from each of the leaves make this weed control extremely difficult to eliminate in Ames, IA lawns. Unless you catch it early, you can’t hand pick this weed because each node will continue to grow roots and spread. Creeping charlie grows most actively during early fall, making it the best time to apply a herbicide. This will weaken the weed and make it difficult to survive during the winter. An application in the spring will also help to prevent growth and kill off the weed in it’s early stages. Controlling weed growth in the lawn is not an easy job to tackle by yourself. With effective treatments, done throughout the year and in the right timing, you can have a beautiful lawn year round. 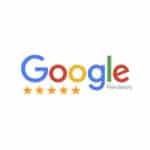 We are gladly serving Ames and the surrounding areas. Contact our Ames, Iowa lawn care experts today for a free estimate right over the phone… no hassle, no waiting. When you think of the best Weed Control Lawn Care think of Nice & Precise Lawn Care. Effective Weed Control is provided by Nice & Precise. 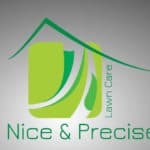 So if you’re ready to take back your weekend and enjoy your beautiful lawn without having to do all the weed control lawn care yourself call Nice & Precise today for a no-obligation quote. Prices for Weed Control Lawn Care start around $50 per application. 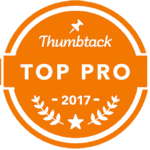 Your satisfaction with your lawn is our top priority. Have a new lawn care project in mind? Contact us for a free, no obligation quote for your lawn care services. 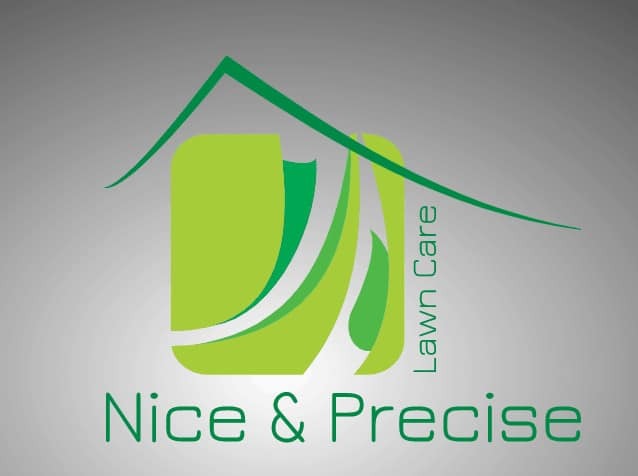 Are you an existing Nice & Precise Lawn Care customer? Login to your online customer portal where you can view your invoice, pay your bill, view current projects or request new services.